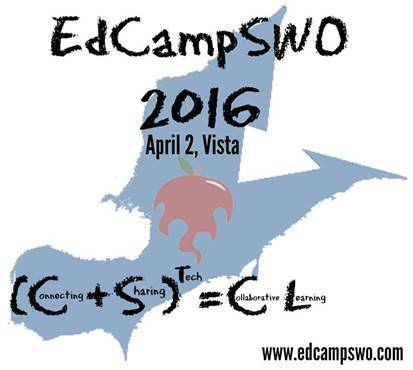 @EdCampSWO is happy to announce that EdCampSWO 2016 — L=(C+s)C — will take place at Tecumseh Vista Academy on April 2nd, 2016 from 8:30 am to 4:30 pm. Our continued focus is innovative, technology enabled teaching and learning practices. A complimentary lunch will be served from 12-1 pm. This is our fourth consecutive edcamp and it promises to be better than ever! Coding, Minecraft, Office365, Google for Classrooms, Twitter, MakerSpaces, Vine, GreenScreen, The Global Read Aloud, Explain Everything, iPads in the Classroom, Mystery Skype, Daily Physical Activity, Developing Technology Leaders? Well join us for all of this and more at EdCampSWO. What ever our participants bring with them will be the content of the day! If a bit more structure is what you are after than sign up to spend the day with Dr. Marian Small! That’s right our special guest, participant and presenter is Dr. Marian Small. Marian Small is a leading Canadian mathematics educator and a regular speaker on K–12 mathematics throughout Canada and the US. Marian is the former Dean of Education at the University of New Brunswick, and has been a classroom teacher and professor of mathematics education for over 30 years. Marian is internationally renowned. She has been very involved in the development of curriculum and text materials for students and teachers of mathematics, authoring seven text series at both elementary and secondary levels in Canada, the US, Australia, and the country of Bhutan. She has been a senior author on five of those series including the most recent Nelson Education math texts, K–12. She has served on the author team for the National Council of Teachers of Mathematics Navigation series, Pre-K–2 and, for four years, as the NCTM representative on the Mathcounts question writing committee for middle school mathematics competitions throughout the US. She is also a member of the editorial panel for the NCTM 2011 yearbook on motivation and disposition. A few years ago, Marian led a groundbreaking research study in Canada which resulted in the creation of maps that describe students’ mathematical development in each of the five mathematical strands. This forms the basis for her professional development program, PRIME. Marian is currently involved in many coaching initiatives, co-planning and co-teaching lessons with teachers across Canada with a focus on supporting struggling learners, differentiating instruction, and on teacher questioning in mathematics classrooms. We are looking forward to the connecting and sharing to the power of collaboration. We are looking forward to the learning! The Learning Matrix is empty now. . .
Time /Room GYM 1 2 3 4 5 6 7 8 9 10 etc.
. . . And on the day of the event it will fill up. What will you learn? What will you share? Who will you collaborate with? Join teachers, admin, ITprofessionals, parents and students as they all participate as learners. Follow @EdCampSWO on twitter for all the latest information.